The NBA's seven best teams also happen to be the league's seven best three-point shooters. Teams like the Rockets (up to No. 2) are riding the deep ball to success. Is anyone surprised that the NBA teams with the seven best records are also the teams with the seven best three-point shooting percentages? Although the variety and velocity of attempts varies greatly, the Cavs, Spurs, Raptors, Rockets, Warriors, Clippers and Jazz, in that order, have been the league’s best teams from long distance. And though it’s not a hard statistical through-line, it’s a telling enough fact as to where basketball is and has been heading. And unsurprisingly, these are the seven best teams in this week’s Power Rankings. Those are the squads you’ll be thinking about come April and beyond. Everyone else has been at least a small cut below. This trend points to how stratified the league has been through nearly two months. There are only 11 teams, those seven included, that are more than one game above .500 right now. Below, there’s a large middling pack of teams that are in playoff contention but could bottom out at any time. And then there are seven teams that have yet to win 10 games. It’s almost Christmas, and it might just be me, but the landscape of the league feels crystal clear much earlier than usual. The Nets have only held one opponent under 100 points since Nov. 8 and three all season. But, according to the NBA’s hustle stats, they’re the best team in the league at contesting shots. So there's that. The Sixers made some waves this week by officially benching Nerlens Noel one day after he complained he needed to play more. This is going to make some people angry, but I am not one of them. It’s unclear where anyone got the impression Noel is more than a role player with a fancy pedigree—which is a fine thing to be. It stands to reason that not many other teams think he's more than that, or he probably would have been traded by now. Dropping the 22-year-old Noel from the rotation means rock bottom for his trade value, but it also means the 76ers appear to have made the correct choice in parsing down their big man roulette. 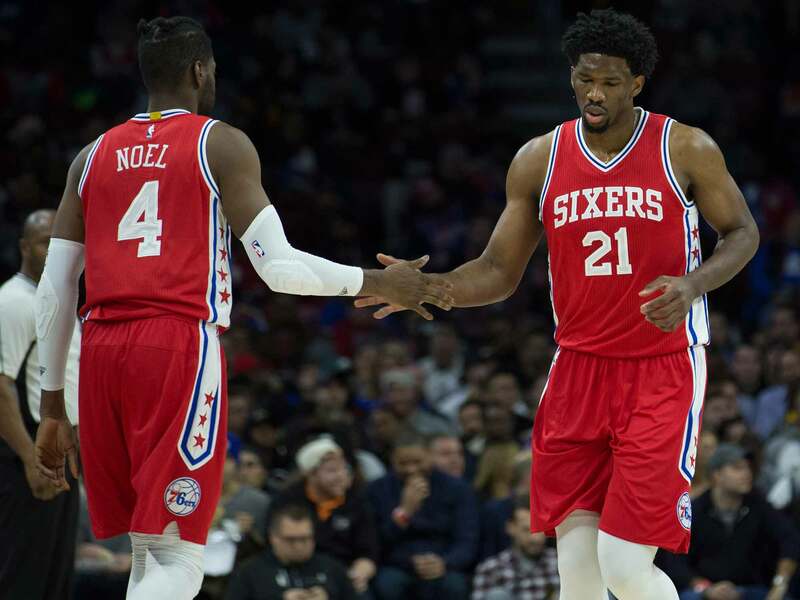 We aren’t sure if Noel is gone, but at this point, Philly’s pushing their luck if they don’t sell. Stuck in a competitive rut yet again, and with Ben Simmons still recovering from injury, Philly has correctly experimented with Joel Embiid and Jahlil Okafor together (even if it probably isn’t a long-term fit). Embiid’s clearly a pretty special prospect, and the future of the franchise hangs heavily on his good health. Everyone’s aware of Okafor’s defensive limitations, but he remains one of the NBA’s more gifted low-post players at age 21. It’s fair to acknowledge his shortcomings, but it's also bad practice to totally write him off. Noel—who never has been or will be a real scorer—seems the clear odd man out to me, with Ben Simmons eventually having to defend a forward spot and Embiid’s shot-blocking lessening the need for a luxury shot-blocker in this rebuild. If the Sixers can find the right deal on Noel—whose off-court maturity questions are probably smudging his sticker price a bit—it’s a no-brainer. And Philly actually has options! Dario Saric and Richaun Holmes deserve minutes, too. Let’s hope Noel gets it together as a defensive backbone somewhere else, give the Sixers some picks, and just all move on. Don’t look now, but Deron Williams might have rehabbed his trade value. He’s on a one–year deal and averaging 14.9 points and 8.3 assists in December, and while that’s not elevating a struggling Dallas team much, it might look good off the bench for a competitive team come April. I will never get over this, but I hope Brook Lopez will. Larry Nance Jr. needs a nickname. Here’s a fun tidbit: Devin Booker just had his 11th career 30-point game in his 102nd career game, which only Blake Griffin, Kyrie Irving, Steph Curry and Kevin Durant have done since 2004–05. The Wolves have blown double-digit leads in nine of their 19 losses, and led the Rockets by 12 with less than three minutes left Saturday before losing in overtime. How much of this can we attribute to youth? Tyreke Evans is back, for whatever that’s worth. Should we be worried about Justise Winslow (11 points, 4.4 rebounds, 34.5% FG)? I’m a little bit worried about Justise Winslow. A couple thoughts on the Boogie Cousins v. Sacramento Bee situation: 1) Cousins really makes himself tough to love, but 2) columnists with aggressive vendettas aren’t entitled to our sympathy. Although the greater narrative with Magic has been a lack of offense, they’re scoring in the middle of the pack in December. Small sample size, but it’s the defense that’s been in the bottom five this month. The Nuggets (and Kings) have a tiny window into eight-seed contention in the West, thanks largely to Portland’s struggles. One of those three teams might pull the Warriors in the first round. Hide your eyes. Losing by 45 to the Warriors underscores the fact the Trail Blazers cant guard anybody. They’ve dropped six of seven. The Pistons appeared to be in pretty good shape two weeks ago. Since then, they’ve lost to the Wizards, Pacers and…Sixers…by double digits. It kind of seemed like this was going to work out…but that was in early November. No team may benefit more from the new CBA than the Pacers, who will be able to offer Paul George a mega-extension. They still, of course, need to make sure he wants to stick around. Bradley Beal dropped 41 in a huge win over the Clippers, and the Wizards have won five of six out of nowhere. They’re going to have to start winning on the road, but consider them back in the extremely muddled East playoff picture. A long West Coast swing has muted any excitement that surrounded the Knicks, who dropped games to the Suns, Warriors (understandable) and Nuggets. Mercifully, they’re back for the holidays. Early in the season, we wondered if the Bulls were actually good, and now, 26 games later, the answer is basically no. After a hot start, they’re remarkably close to where we figured they’d be: last in the league in three point percentage, with the fewest makes and attempts per game. It has been a small win in that the players passed their chemistry test—although Dwyane Wade has been a bit up and down, his positive influence on Jimmy Butler appears significant. Rajon Rondo has not been that great, most of the time, but the team is at .500. I was messaging with a friend back in Chicago yesterday who pinned blame on Fred Hoiberg, who seems bound to take the fall at some point. There have been too many nights where the Bulls look disorganized and unprepared, including bad losses to the Mavericks and Lakers and the team's recent three-game skid. But it also points to a couple other apparent truths, chief among them that maybe this roster just isn’t that great. The overall preparation and consistency under Tom Thibodeau was taken for granted a little bit, and in some ways, the ghost of those teams lingers every time you watch the Bulls, even with their key parts missing. Not to beat a dead horse, but when you take the long view, a lot of that falls on the front office. Butler was the last Chicago draft pick that truly panned out. Doug McDermott, Bobby Portis and Nikola Mirotic have been unable to sustain their utility. It’s still unclear what they have in little-used Denzel Valentine, who’s been unable to log many minutes. Butler and Wade have largely been good, Robin Lopez is a player most teams would like to have. It’s the lack of depth and struggles of Chicago’s youth that have been as glaring as anything. And it’s tough to sell yourself on a rebuild when there’s not a lot of room for growth. It’s going to be a long couple of months. According to the NBA’s hustle stats, the Hornets lead the league in screen assists (when players set screens that lead directly to a made basket for that teammate), with 7-footers Cody Zeller, Roy Hibbert and Frank Kaminsky pacing them. Another testament to how well-organized this team has been. 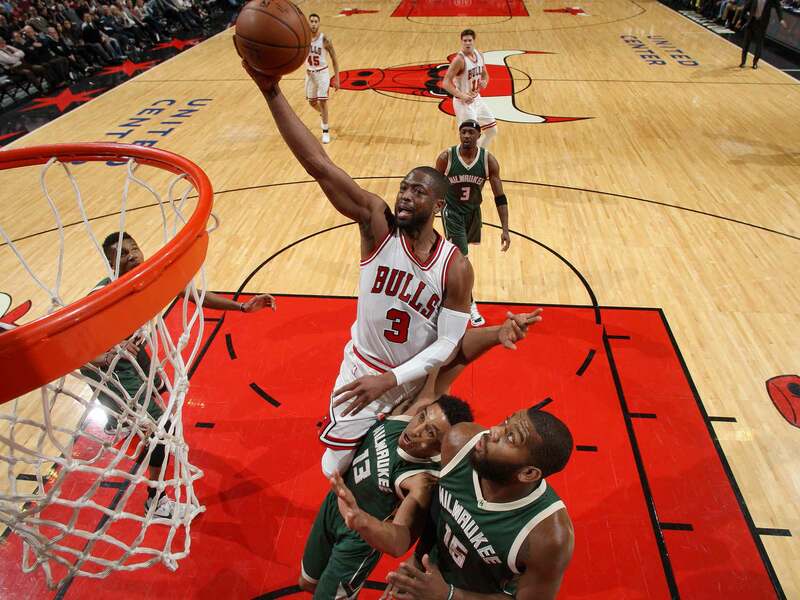 Snapping a three-game losing streak by punking the Bulls in a home-and-home seems significant for the Bucks, who are emerging in an increasingly mediocre Central Division. Pay attention when they face Cavs on Tuesday and (gulp) Wednesday. I feel it’s time for a Guerschon Yabusele check-in: he’s averaging 17 and 8 in China and is teammates with…Jimmer Fredette. It’s truly bizarre that the Grizzlies can lead the league in defensive efficiency and still post a negative net rating. It's also pretty impressive to be dead last in True Shooting Percentage and be 18–11, but then again…it isn’t that shocking. Did you know Joe Ingles leads the league in three-point percentage? Me neither. Bad news: Blake Griffin will reportedly have a minor knee procedure and be out 3–6 weeks with a January target return date. In unrelated news: Griffin just passed Elton Brand for third most points in Clippers history. Does that say more about Blake, Elton or the history of the Clippers? I seriously can’t believe anyone is legitimately mad about the Cavs—the defending champion Cavs—resting LeBron. Not like you’re going to need him at full strength in May, or anything. With Tim Duncan’s jersey retirement comes the official end of an era in San Antonio. Or so we think (if he pops up for the veteran’s minimum in March, don’t bat an eyelash). Watching the ceremony on Sunday night evoked a lot of nostalgia and feeling and all that, and Duncan actually spoke publicly for more than four minutes. But this is about the current Spurs, who are 22–5 and taking care of business as usual, mostly. San Antonio will get a bit of a test this week, however, hitting the road against the Rockets and Clippers, who are two of the five teams that have managed to beat them this year, and have the personnel to expose the Spurs’ structural problems. I hate being the guy in December who’s like, “Maybe let’s worry about the most consistent franchise of the last 20 years,” but the Spurs' record does conceal the fact that this team has the potential to be exposed defensively. More often than not, they’ve gotten along fine this season, but the LaMarcus Aldridge/Pau Gasol combo is sort of asking to be pick and rolled by capable opponents, the Rockets and Clippers both falling into that category. I read a good piece over at CBS Sports this week that called attention to the fact that teams are actively trying to hide Kawhi Leonard as a defender, parking his man in the corner and trying to isolate the Spurs’ other pieces. It may not come full circle until the playoffs, but it’s a potential weakness that San Antonio will have to compensate for with immaculate team coverage, or by making some moves. It’s part of what happens when you lose Duncan, who even at the end of his career remained a superb communicator and preferable defensive option most nights. 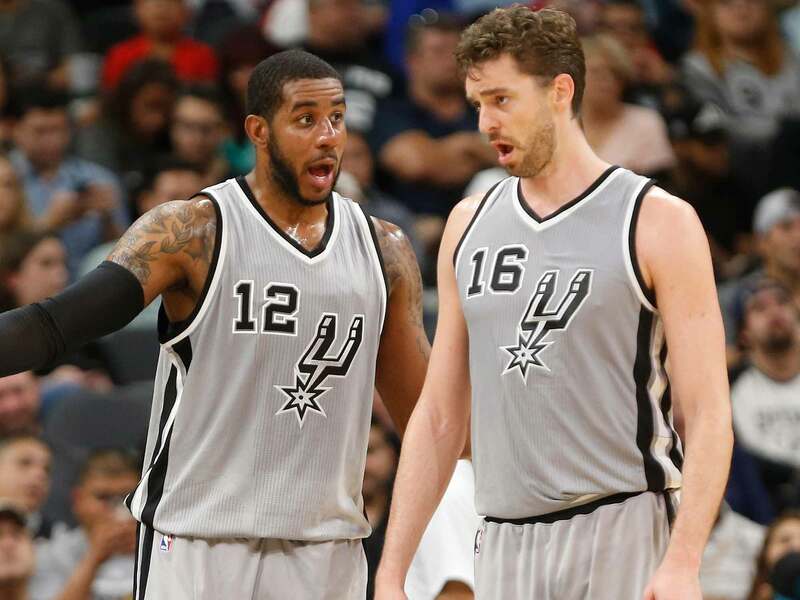 The Spurs are enviably strong, but it might take even more to win the West. Toronto has put up triple-digit points in 14 straight games and leads the league in offensive rating (121.1) True Shooting Percentage (61.4%) and three-point percentage (45%) in that span. Make that 10 wins in a row for Houston, who just set the regular-season record for three-pointers made in a game (24), threes taken in a half (31) and in an entire game (61). Is this peak Rockets? Probably. The Warriors are blatantly assist hunting while winning games, and I read somewhere that JaVale McGee is leading the league in dunks, so you tell me how this season is going.